Data is the lifeblood of a business because it keeps the operation running. Knowing the difference between cloud backup and on-premise backup can help you make the better choice for your company. To put it simply, the cloud stores your data in data centres with thousands of servers, sent over the Internet using encryption to protect the information. These data centres are highly secured, and can allow businesses to access servers and data through an Internet connection. Cloud backups can come in either a private cloud service or a public cloud service. The former is hosted by an on-premise IT infrastructure (owned or provided by an external provider), making the hardware, storage and network dedicated to a single client or company. However, running the staff, management and maintenance can be costly, making private clouds generally preferred by bigger enterprises. A public cloud service is shared with other businesses, and is often defined as a multi-tenant environment, where you buy a “server slice” in a cloud computing environment that is shared with other clients or tenants. On-premise backups are data backups that copy your hardware data to a storage device placed in-house. These devices can backup your data manually or automatically, and are stored onsite for quick access or physically moved offsite afterwards for archival reasons. Examples of on-premise backup solutions include network attached storage, storage servers or tape backups. When your data is lost due to hardware failure or human error, the time it takes to recover files or even entire hard drives is crucial to the business. Recovery time varies depending on the logistics and specifications of the solution chosen. Some on-premise backups can take hours to even weeks to recover the data depending on the type of storage and its location. If your backups are stored off site, they have to be retrieved in order to start data recovery. However, for cloud backups, it takes just minutes to hours before a business’s data is fully recovered and ready for work because all you need is the Internet for data to be recovered from cloud backups. A cloud-based solution can help minimise any loss to the business, due to it being readily available at all times. On-premise backups are susceptible to vulnerabilities including physical damage such as fires or water damage, to administrative errors and even theft. Cloud backups help mitigate these disasters as they are stored in data centers that mostly have redundancy built in. These centres are also protected by tight security and around-the-clock surveillance that ensures your data remains safe. On-premise solutions can cost a fortune. Firstly, there is the electrical overhead - the average server has a mixture of multiple socket processors, dual (or more) power supplies and multiple sets of hard drives. As such, huge amounts of electricity is spent on keeping everything running and cool. Then there are the hardware, backup and development systems which can cost big up-front payments, and which all need upgrades, maintenance and updates at some time. Lastly is the human capital involved. This includes the IT team to run and maintain the on-premise solutions, security and sometimes even help-desk resources and sudden additional hiring for emergency hot fixes and hardware repairs. Comparing the varied costs of on-premise solutions versus the straightforward payments of cloud will help you decide which one can help you save a considerable sum. The cloud typically is a cheaper option regardless of electricity cost due to businesses paying only for the capacity they need, predictable ongoing operating expenses and the ability to scale as their requirements change without need for physical space. Cloud storage costs are continuing to decrease, and support and maintenance costs are usually included in the monthly fee, making budgeting even easier. Provides a much faster recovery time when you need to recover data, ensuring that operational downtime is minimised. Eliminates traditional security threats on-premise solutions entail. Allows for easier budgeting as cloud solutions shift investment from up-front capital expenditures to a predictable monthly expense. It is also more cost-efficient. 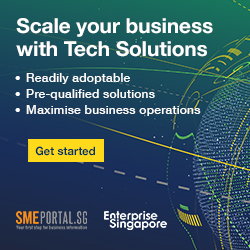 Singtel Business Backup Suite is a backup and disaster recovery solution that delivers complete data protection on your physical workstation and servers, managed by a single, easy-to-use console. It allows businesses to deploy and manage backups easily and quickly with zero lead time. Backup devices on any operating system, file system and location. Securely store files on SSAE 16 and MTCS-Singapore certified Tier IV designed data centre hosted in Singapore. To find out more about Business Backup Suite, click here.